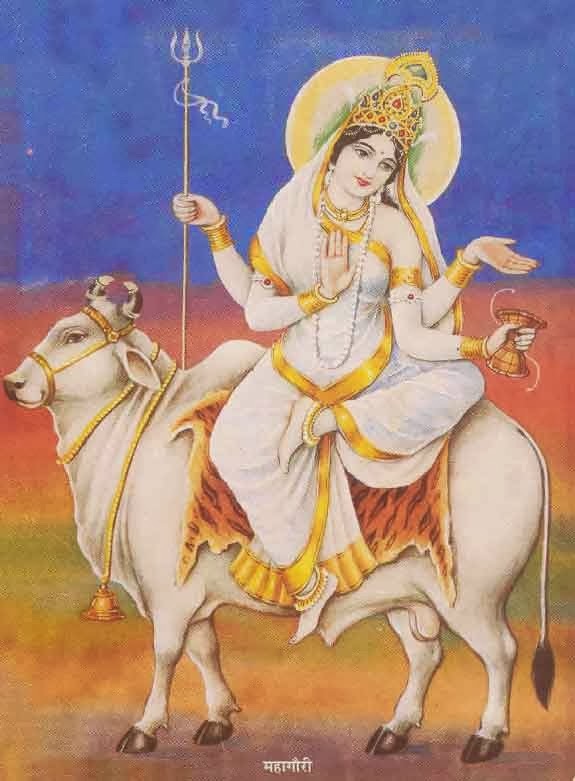 Eighth day celebrates the worship of Mata Rani in the form of Maha Gauri. She is a symbol of calmness and purity. This Goddess in well known for her extreme beauty and appears dressed in pure white with lots of ornaments. 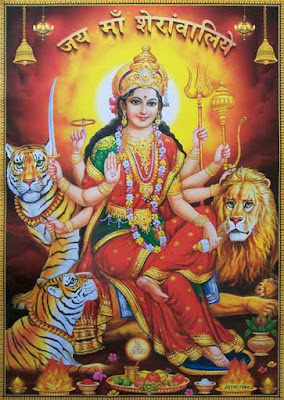 She is known to have performed rigid penance to obtain Lord Shiva as her husband.